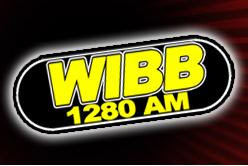 WIBB-AM 1280 (Macon, GA) moves to an all-talk format as Bibb County's first "Black Talk" station. Their schedule of daily shows kicks off with Anita Ponder and Todd Haygood, featuring the former Macon city council president and Clear Channel's local director of urban programming, from 6 to 9 am. The rest of the day will feature syndicated programming, including Warren Ballentine, Al Sharpton and Michael Baisden. Local NAACP president Al Tillman will host a weekly show on "Unity and Community" Sundays at 7 am.